Some of the world’s most ambitious transportation projects are currently propped up by billions of dollars from Saudi Arabia, an authoritarian regime that is facing new scrutiny following its alleged role in the brutal killing of Washington Post journalist Jamal Khashoggi. Billions more have come from SoftBank’s Vision Fund, the Japanese tech conglomerate’s $100 billion investment arm, of which Saudi Arabia has contributed $45 billion. A few of these companies, and some of their executives, have made nominal moves to distance themselves from Saudi Arabia in recent days, like pulling out of the country’s upcoming Future Investment Initiative conference. Others, like Lucid Motors, an electric car startup that just received a much-needed $1 billion lifeline from Saudi Arabia’s Public Investment Fund (PIF), have remained mum. In fact, Peter Rawlinson, the CTO of Lucid Motors and a former lead engineer on Tesla’s Model S, is one of the few Western executives reportedly still planning to attend the event. The investments are part of a mighty push from Crown Prince Mohammed bin Salman, the nation’s de facto ruler, to diversify Saudi Arabia away from oil. And until now, the money has seemingly been welcomed with open arms, despite Saudi Arabia’s previous high-profile rights abuses, and the company’s long-standing (but recently-lifted) ban on women drivers. 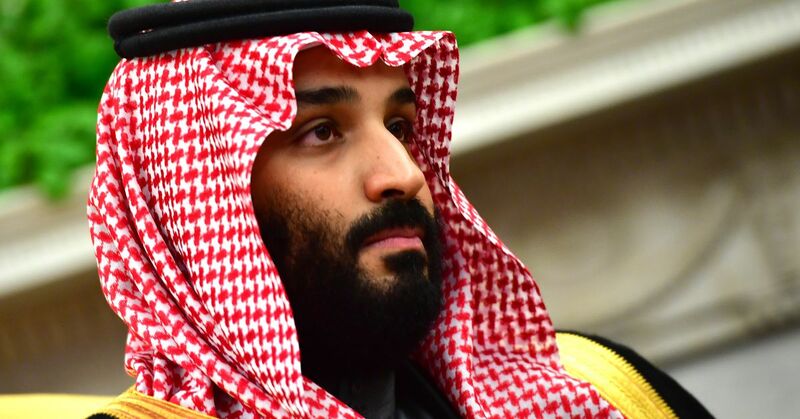 But bin Salman’s suspected role in Khashoggi’s death is raising new questions about these companies’ ties to his regime, the prospect of future investments of similar scale, and the risk of potential sanctions on this suddenly ubiquitous source of funding. At least one company has taken action in response to the killing: Richard Branson’s Virgin Group. In the fallout of Khashoggi’s killing, Branson “temporarily suspended” a $1 billion investment from PIF that was supposed to help fund his varying spaceflight efforts, and Saudi Arabia has reportedly canceled a deal with the billionaire’s nascent hyperloop transportation company. Virgin is so far the lone public example, though, and it’s possible that the company remains peerless in this respect. “I think at this point in time, most firms aren’t going to make this into a major issue,” Anthony Cordesman, who holds the Burke chair in strategy at the Center for Strategic and International Studies, tells The Verge. Stockholder anxiety, or perhaps prolonged media focus on Khashoggi’s death, could lead some to follow Branson’s lead, he says. But Cordesman otherwise thinks it’s more likely that companies will only back away from Saudi Arabia temporarily, if they even do that. So far, that seems to be the move. Uber has received more direct investment money from Saudi Arabia than practically any other American company. The PIF poured $3.5 billion into the ride-hailing giant in 2016, taking a 5 percent stake and a seat on its board of directors in exchange. SoftBank also has a $7.7 billion stake in Uber. While that investment was originally made by SoftBank itself, the company has reportedly discussed flipping the stake to the Vision Fund. It’s also considered doing the same with the sizable stakes it holds in some of Uber’s strongest competition, like China’s Didi, or India’s Ola, though it’s unclear if SoftBank ever transferred these holdings. If it did, or does, all of these companies would wind up connected to PIF thanks to its huge backing of the Vision Fund. PIF bought a $2 billion stake in Tesla earlier this year, though that was on the open market. But Saudi Arabia was also in discussions to make an even bigger play to help take Tesla private again, Elon Musk revealed in August. Tesla’s CEO held multiple meetings with PIF representatives, and said he had “no question that a deal with the Saudi sovereign fund could be closed, and that it was just a matter of getting the process moving.” But a deal never materialized, even though he publicized the plan in August with his now-infamous “funding secured” tweet, which eventually sparked an SEC investigation, a securities fraud lawsuit, and a settlement. Around the same time, the Saudi Arabian government turned its attention to a much smaller EV startup called Lucid Motors. Founded in 2007 as a battery company called Atieva, Lucid Motors has teased an all-electric luxury sedan for the last few years. But the company struggled to secure enough funding to break ground on a planned $700 million factory in Arizona. Those struggles continued until Lucid Motors announced in August that it had lined up a $1 billion investment from PIF. Cruise Automation, the self-driving car company that General Motors bought in 2016, is one of the highest-profile Vision Fund investments after Uber. It received a $2.25 billion promise from the SoftBank Vision Fund earlier this year. (A representative for Cruise did not respond to a request for comment.) The Vision Fund also owns a $5 billion stake in Nvidia, which has become a huge player in the automotive industry thanks to its advanced suite of self-driving chips — though that investment originally came from SoftBank itself and was later transferred to the Vision Fund after the fact, which the company pointed out in a statement to The Verge. In that same interview, bin Salman said he planned to commit a similar amount of money to the next SoftBank Vision Fund. But SoftBank has already distanced itself — albeit slightly — from Saudi Arabia after Khashoggi’s murder. SoftBank’s chief operating officer said at a conference in California on Thursday that “there is no certainty” a second Vision Fund will be launched, adding that the company is “anxiously looking at what is happening” with regards to Khashoggi’s death. Working with potentially tainted money, Cordesman says, is “business as usual in a good part of the developing world.” The gruesome details of Khashoggi’s murder, and the way that Turkey has seemingly fanned the flames despite its own wretched human rights record, have elevated the story to an international level. But despite Saudi Arabia’s wealth, size, and strategic importance, Cordesman says, the country’s past human rights transgressions have not interfered with high-value investments, and there’s no reason to think it will change this time around. “It’s not an issue normally where something like this has a lasting impact. People ride out the crest of publicity and business tends to go on as usual,” he says. The fervent pace of investment from the Saudi PIF and SoftBank Vision Fund has also propped up the valuations of many of these companies, and at the same time made it hard for more traditional funding sources (like venture capital firms) to keep up. With companies like Uber now facing a potential $120 billion public offering, thanks in no small part to the money it’s received from Saudi Arabia, turning back now — even in the name of human rights — would mean sacrificing what Silicon Valley values most: growth.